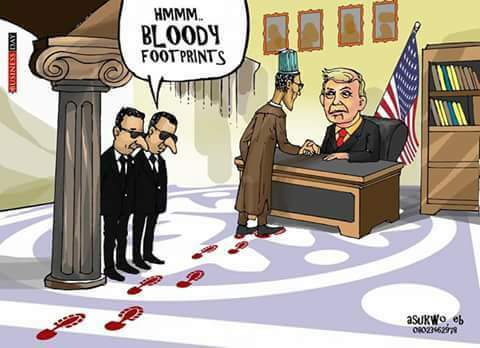 Home Nigeria Politics U.S urged Nigeria to stop killings, blames insecurity on "reign of impunity"
U.S urged Nigeria to stop killings, blames insecurity on "reign of impunity"
“I think it is clear, we know and the government knows that as well. A lot of people are doing good things and working hard. But it needs to be even more because it is clear that there is a climate of impunity. When people are committing serious crimes, they get away with it, without being brought to justice. David Young said key actors in Nigeria should be deeply involved in the peace-making process. He further stressed that Nigeria may implode anytime as security in the most populated African country has severely deteriorated. President Trump made it clear that the U.S is strongly against the killing of Christians in the country during Buhari's visit to the white house in May.